So you can probably already tell that I LOVE Soap & Glory. I have tried so many of their products and I thought that they deserve a review. There are far too many to cover in one post so i've chosen my two favourite products that I use on a daily basis and would highly recommend to everyone. 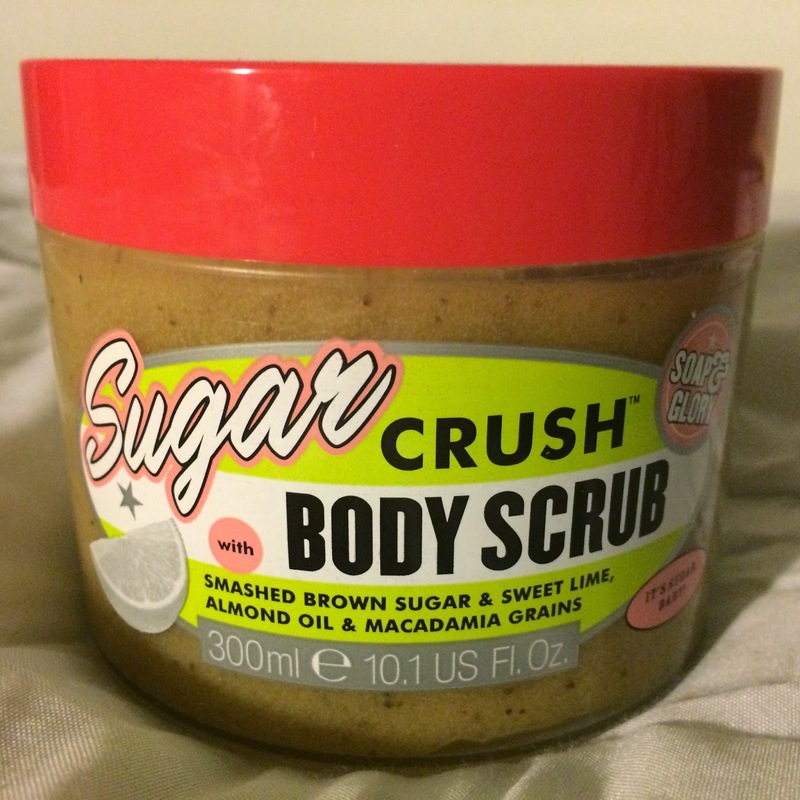 The first one is the Sugar Crush Body Scrub. I love this product because it is made with real sea salt which I always sprinkle in my bath but this is a great way to wash yourself with sea salt when you don't have time to run a bath. Sea salts are beneficial for the skin as they are full of minerals which help to balance the skins moisture and they also help to open up and clear out pores which is why I like to wash my makeup off with this scrub. This scrub also contains many different oils, brown sugar and macadamia grains. Another thing I love about this product is that it smells AMAZING. It literally smells like sherbet sweets. My second favourite product by Soap & Glory is The Righteous Butter. This is a thick creamy moisturiser for very dry skin. It has shea butter and aloe vera in it. I have also tried the sugar crush body butter cream and that one is a lot thinner and lighter than this one but as with all their products it smells amazing. Another one I have tried is the Ultra Nourishing Fruity Liquid Moisture Lotion. This one comes in a pump and is again a lot lighter. Although it has more oils in it I do not find it as moisturising as the Righteous butter and it definitely does not smell as good. One thing about all of these products is, if you have very irritable skin the moisturisers may not be good for you as they are packed with perfume! Although they smell amazing, the scents are extremely strong. All these opinions are my own. Let me know about any other skin and shower products you would recommend!